Moving house can be an extremely stressful experience and without the right guidance or company to help in your removals this period can quickly increase to become an unbearable experience. However, at Mr Shifter our staff have the expertise to ensure the transition to your new home will be as smooth and hassle free as possible. Unlike many cheap removal companies, after surveying your possessions and the scale of the job, we will provide you with a quick no obligation quote. If you require it, we can also provide a full packing service. With experience reaching almost 40 years in the removals and storage industry our professionally trained staff are on hand to offer you the smoothest move possible. Many of our core staff have been with us now for well over 20 years and continue to play an integral part in the progress and development of the company, not to mention ensuring the highest level of service is delivered to our customers. Our professionally trained staff will carefully handle and load your goods to be moved onto one of our many purpose built trucks. They have been handling and transport your goods for nearly 40 years, and in this time have developed the skills and techniques to overcome a majority of obstacles that may occur on the day. On the day of the move, Greet your removals team when they arrive and take a quick tour of your current home with them, highlight to them everything that needs to be removed from the property and ensure they are aware if anything is not to be taken from the property. 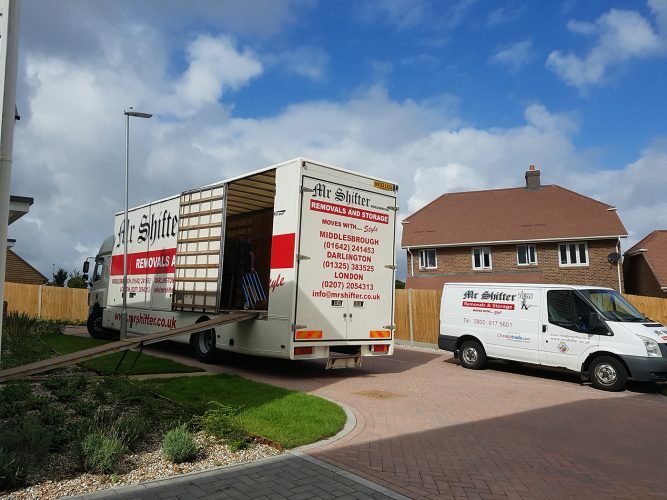 During this quick tour our removals team will inform you of any issues they foresee during the collection process, this may be a simple matter of tight access for certain goods, or furniture that may need to be dismantled to be removed effectively. This is for your benefit as well as ours to ensure there are no issues later in the day. Our team will begin by removing the full goods and content from one room, once this is complete, this will give you an opportunity to have a quick clear and clean of this room to leave it in good repair for its new occupants. Once the property has been fully emptied, our team will invite you to take a quick walk around of the collection address and ensure that everything you needed collected is loaded. Once our team arrive at the new property we will begin in the way that we did at the collection address and take a short tour of the new property, this will be to introduce us to the layout of the property and understand where you goods will be delivered to at your new home. Our team will deliver the goods as they were collected from your previous address, and if you do need any items placed in new locations, let our team know this and they will make the necessary adjustments. Once the truck has been fully unloaded, our team will invite you to inspect the back of the truck to ensure everything has been unloaded and that no goods are left on the truck. Before we leave, our team will re-erect and re-connect any goods that we have dismantled, unless otherwise stated and instructed.